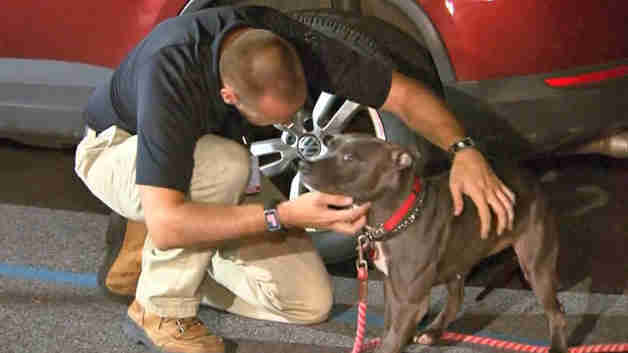 Derek Harbaugh works as a pilot for Wings of Rescue, flying dogs back and forth to help them find their forever homes. So he’s used to meeting all different dogs, from every walk of life, every day. He loves all the dogs on his flights but never really bonded with any in particular — until he met Pinky. 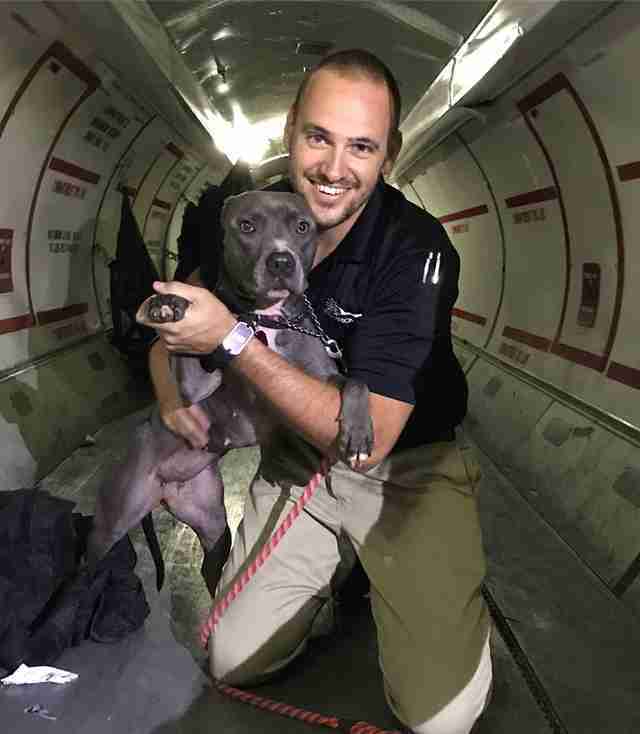 After Hurricane Irma devastated the island of St. John, Wings of Rescue helped out by flying dogs off the island and to the safety of shelters and rescues in the U.S. One team flew a group of dogs to Fort Lauderdale, where they stopped to refuel and switch crews, which is when Harbaugh joined the flight and met Pinky for the first time. 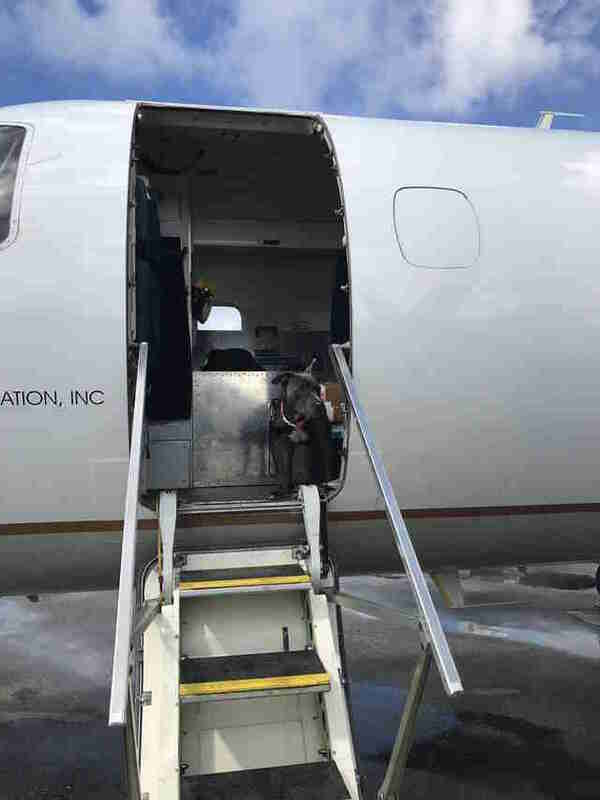 When the flight finally landed in New Hampshire, Harbaugh made sure Pinky was the last dog to be unloaded so he could say goodbye. 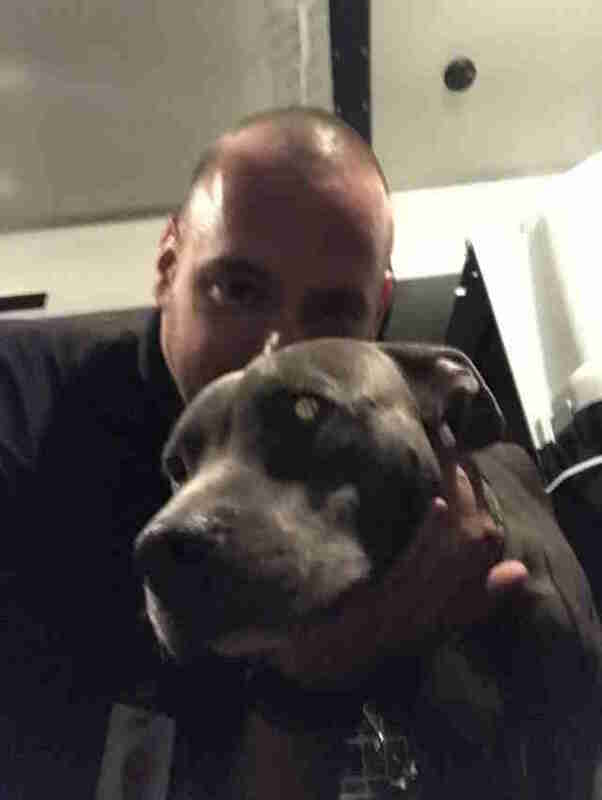 Once she was loaded onto the truck headed to Last Hope K9 Rescue, he climbed on with her to pet her one final time. As the truck drove off, Harbaugh realized he didn’t want this to be goodbye. In that moment, Harbaugh made a decision. He was going to track Pinky down, and he was going to adopt her. Everyone was so touched that this pilot wanted to adopt sweet Pinky, and were more than willing to do whatever they had to do to make it happen. 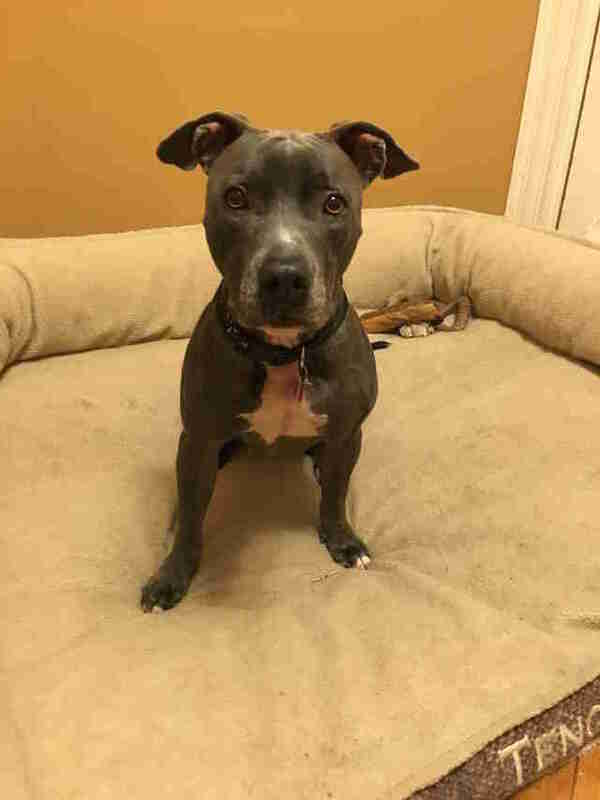 At the time, Pinky was being fostered by one of the rescue’s volunteers, Marcia Birnbaum Huston, and she remained in her foster home while Harbaugh began making the arrangements to come and get her. 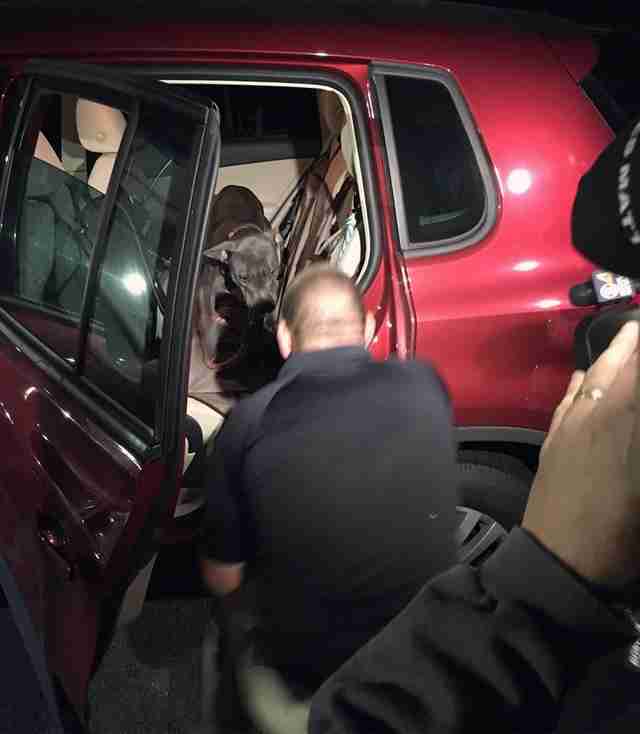 With the help of Matt Montes of Mission: Miracle K9 Rescue Inc. he was able to arrange a flight, and Pinky was then transferred to be fostered by Jessica Teng, who drove her all the way to the airport to be reunited with her friend. 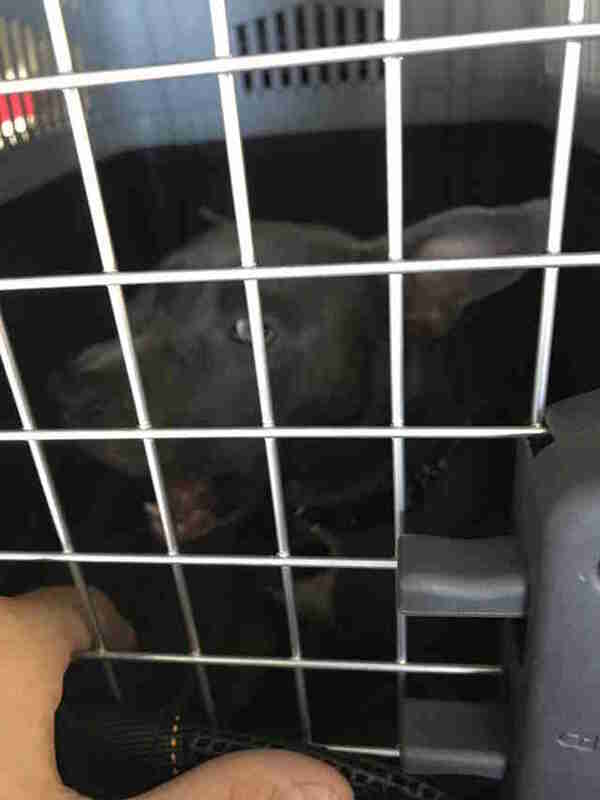 “One of our crew flew into Fort Lauderdale out of Saint Croix and I continued that flight into Worcester, which is where Pinky and I were reunited after unloading almost 200 more pets,” Harbaugh said. … everyone knew that this pair was truly meant to be. That night, Pinky flew with Harbaugh back to Fort Lauderdale, and had the entire plane all to herself. 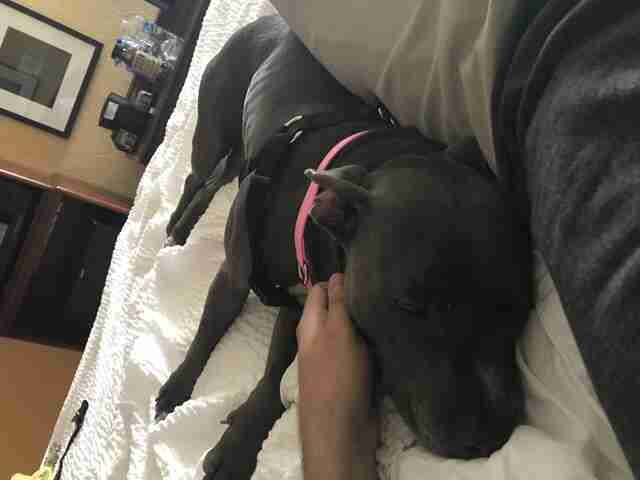 She then spent a few nights with him in a hotel, before finally heading to Texas to settle into her new forever home. The moment that Pinky saw Harbaugh on that first flight, she seemed to know that he was meant to be her dad. Thanks to his determination and everyone’s willingness to help, Pinky and Harbaugh are now settling into their new life together, and neither one of them could be happier. 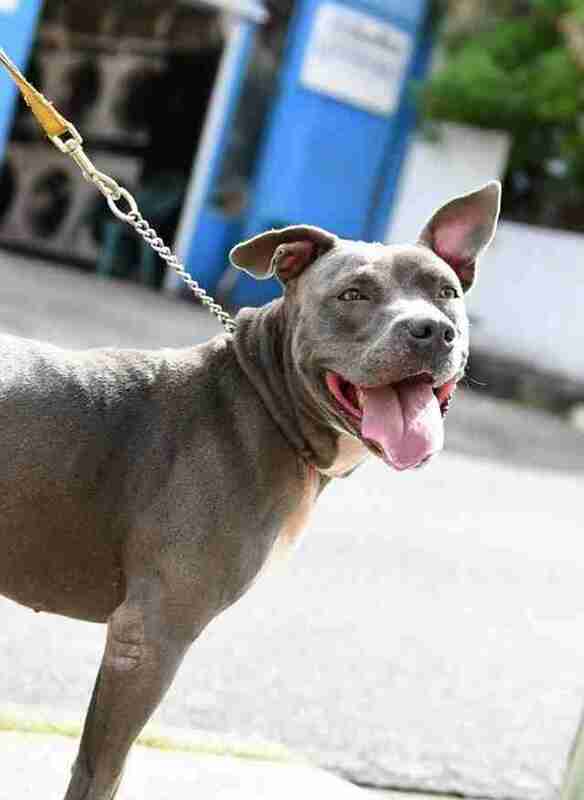 To help other dogs like Pinky, you can donate to Wings of Rescue.